Veteran Labor lawmaker says he successfully beat the disease in 2017. Veteran Labor party lawmaker Amir Peretz announced on Wednesday that he had successfully beaten cancer in 2017, the first time he has acknowledged having been stricken with the disease. "I went through a very difficult medical event. 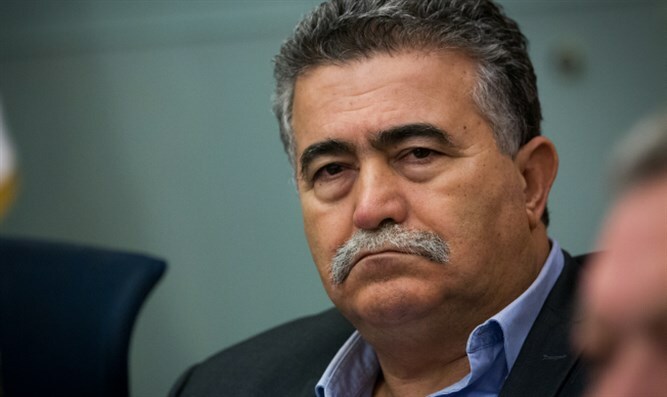 After a few tests, the Knesset doctor, Dr. Lifshitz, called me and said, 'Listen, there's something suspicious, you have to go for much more comprehensive tests," recalled Peretz in an interview with Hadashot that is set to be broadcast on Friday evening. "After the discovery begins a process," continued Peretz "There is a part of uncertainty, dealing with treatments, surgery, and all this time only me, my wife and my children knew about it. Even my brothers didn't know." Peretz's revelation sparked an outpouring of sympathy from his Zionist Union counterparts. "Amir is one of the most determined leaders I've met in my life, a man who leads a clear and sharp ideological path that believes in peace and social justice," said Zionist Union head Abi Gabbay. "The cancer has chosen the wrong opponent. Amir is victorious, and I am happy to continue fighting together for the future of us all in our beloved country." "Amir called today to tell me personally that a story will be broadcast about him and his coping with cancer. I'm happy to hear that he won again, " added MK Merav Michaeli. Peretz, is a veteran politician, former trade union leader and ex-defense minister. He was previously head of Labor from 2005-2007 and is the longest serving member of the Knesset. His first stint as leader ended after Israel lost the Second Lebanon war during Peretz's tenure as defense minister.